Junk Food Jones: KFC WTF? What’s up with these Kentucky Fried Chicken commercials? 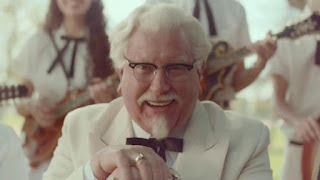 First Darrell Hammond plays the Colonel with a creepy, creepy chuckle. Then Norm McDonald takes his place and declares the Hammond version of the character an imposter. Is KFC going somewhere with this? Did they just can Hammond for some reason and then have to adjust the campaign on the fly? 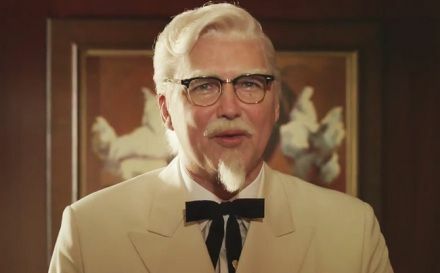 All I know is, no matter how weird and kind of disturbing these commercials get, there’s no way they’ll ever equal the f’ed up factor of this actual 1967 KFC commercial starring the actual Col. Harland Sanders. Click play if you need a little nightmare fuel.